As soon as Burnley qualified for the Europa League, boss Sean Dyche was fending off questions about the downside. Premier League sides appear to dread the extra games and travelling that comes with the Europa League, and, for teams in the qualifying rounds, the long road to even reaching the group stages. Dyche said back in May: "Everyone fires negatives at you, and they forget you’re in Europe at a club like Burnley. “We’ve had many challenges down the years, so we have to be flexible and adaptable and open minded, not get bogged down by the outside noise." 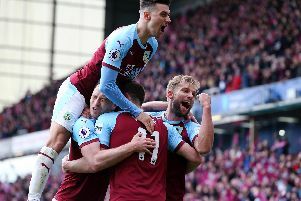 The first real test comes on Sunday as Burnley open their Premier League campaign at Southampton - one of the longest journeys they have in the league, on the back of one of the furthest places they could have travelled to in the Europa League, in Istanbul. But Dyche, typically, isn't over-concerned, speaking after Thursday night's game: "It's there, so we get on with it, as we always do. "I think the team are prepared for it, with travel nowadays we can obviously get a private jet and things like that, we've stepped forward somewhat as a club with that sort of planning. "The players should be back in the UK, in their beds 4ish, if they had a night out they'd be back later, so they'll survive! "I don't overthink it, these are super-fit lads, the only thing you would argue is it's right at the end of pre-season and the body is still adjusting to playing busy periods, but that's for all clubs." But, he reiterated, that while the European adventure is to be enjoyed, the season is all about maintaining their Premier League status: "The Premier League is still our priority, I've always been clear with that. But for a club like Burnley to be in this competition is a badge of honour, a great thing for the fans, the club and the history of the club. "We're pleased with that. And even with the injuries we've had, we still want the side to be competitive and get a result. "I thought we showed that in a different way. We know we can use the ball better, we know we can create chances, but tonight was about good organisation, a will and demand for the team to do things properly. "But the Premier League is still the main focus, and is for virtually all clubs, until they go through the rounds and it gets more serious and then maybe it changes a bit." Burnley were somewhat depleted in Istanbul, but are likely to welcome striker Chris Wood back: "Woody should be available, it was an allergic reaction, so he'll be fine, he'll be training tomorrow (Friday). "Robbie (Brady), we have a behind closed doors game on Monday, so we're looking for him to play some football then. "Steven(Defour) is going to be a bit we think, don't want to put a time on it but certainly not the next week or two, and Vyds (Matej Vydra) is catching up, and that game will give him some time as well. "I think this early part will be about getting players fit, doing the best with the players. "Hopefully we'll get stronger over the next few weeks and still put in performances as well."